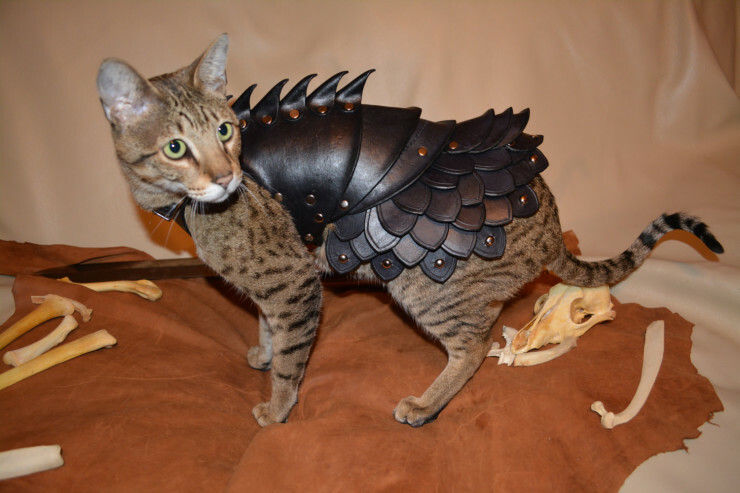 Cat Battle Armor Made From Leather | OhGizmo! 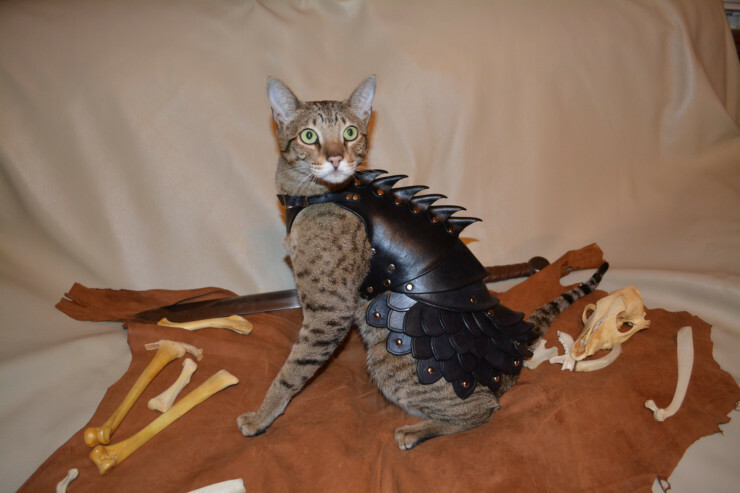 100% wearable, flexible, and comfortable, the Cat Battle Armor is a for-reals armor harness for your kitty. Completely hand-made from durable veg-tan leather, this is no mere costume piece. 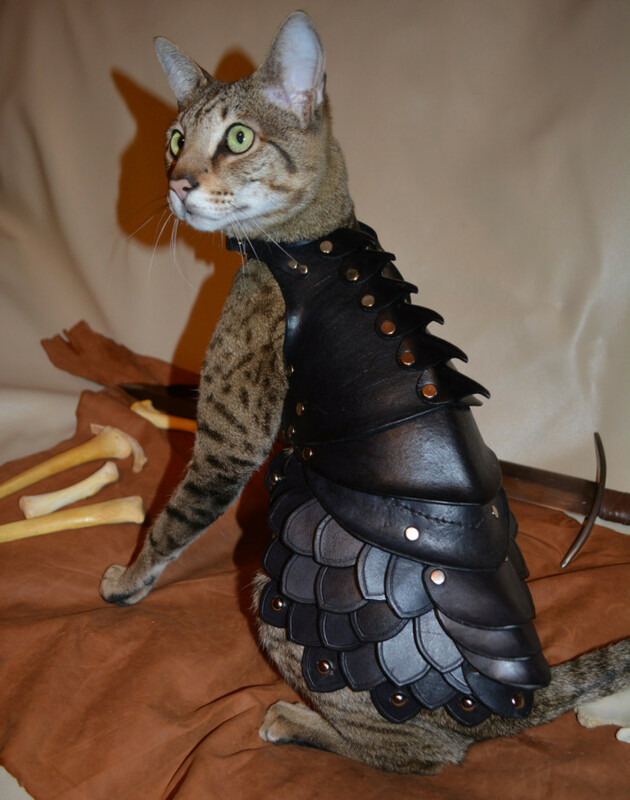 Your cat will become an unstoppable force for slaughter in this fully articulated suit, shielding him/her from foes while allowing unimpeded movement across the battlefield or living room floor. The imposing torso section features several riveted, articulated plates and a terrifying rack of dorsal spines. Hit the jump for a bunch more pics. Sweet! 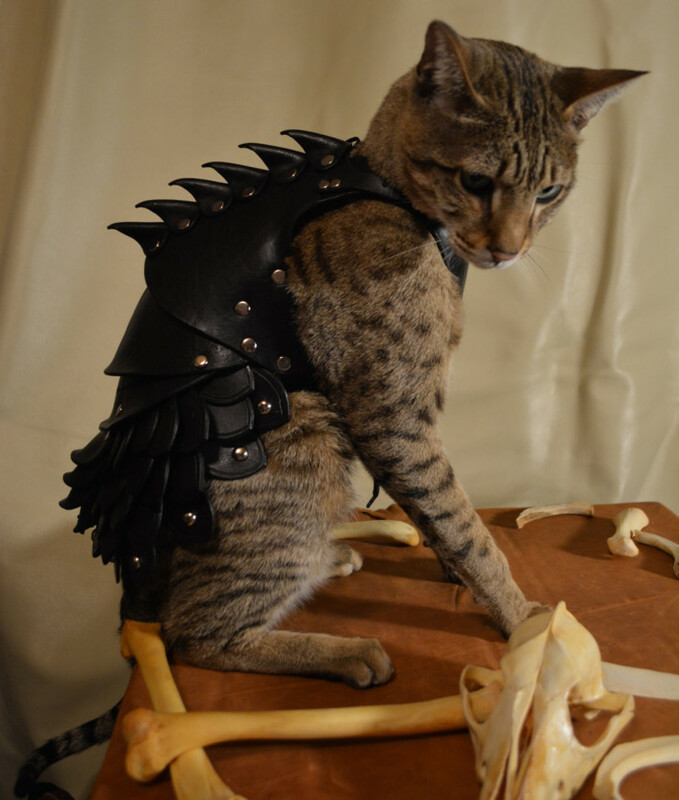 This will be perfect for my green cat, Cringer. 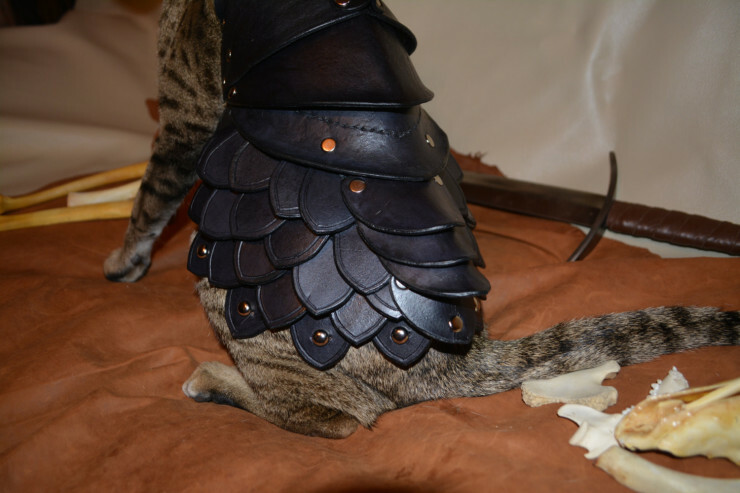 But where is the saddle?